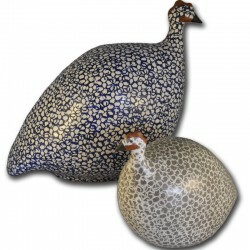 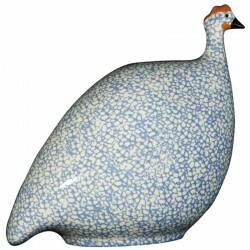 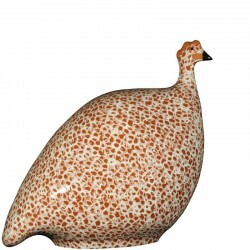 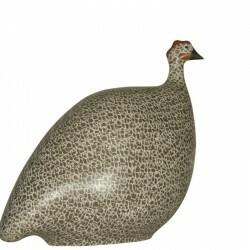 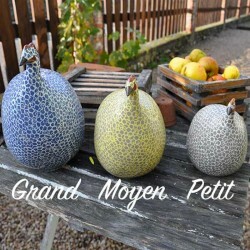 Lussan Ceramic guinea fowl, Gray color speckled with White, Matte finish. 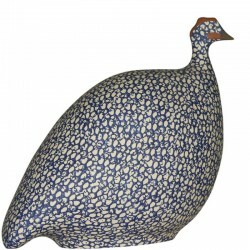 The lussan guinea fowl is a unique piece, made by hand. 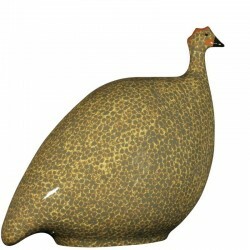 This guinea fowl is a small model of 17cm in height. 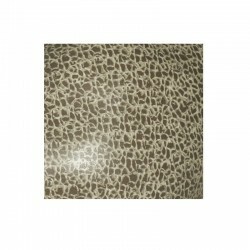 Rustic color and yet terribly contemporary thanks to this original matte finish.